The beautiful area of the Chianti Senese offers many events during the summer among which medieval re-enactments. A vacation in one of our holiday apartments for rent near Siena will not only imply exploring a unique scenery, savouring excellent dishes and wines but might also sometimes mean a journey into the past. Ancient crafts, hoaxes, and betrayal: the Middle Ages come back to life at Monteriggioni’s castle. History and re-enactment will blend together. 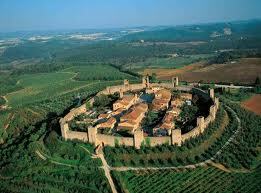 This year Monteriggioni’s festival reaches its twenty-first edition. On July 8, 9, 10, 15, 16 and 17 a blend of tradition and innovation will welcome visitors in a great open-air show with a narrative common thread which will lead them through heroic armed combats, pranks, intrigue and merry juggling. The theme of this year’s edition, in fact, is “War and Peace” and it will mark the attractions and performances of the festival. As usual, the event will be characterised by many entertaining reconstructions of military techniques, daily life sketches, and arts and crafts. A medieval world populated and animated by lively acrobats, musicians, jugglers, soldiers, shopkeepers, spies, pilgrims, innkeepers and merchants is ready to be discovered.